Manage the skills for your account. 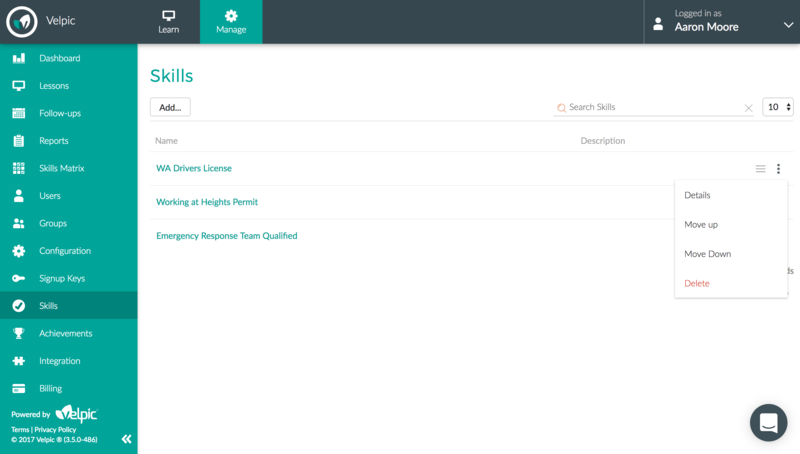 From Skills, you can add, edit, reorder and delete the skills associated with your account. 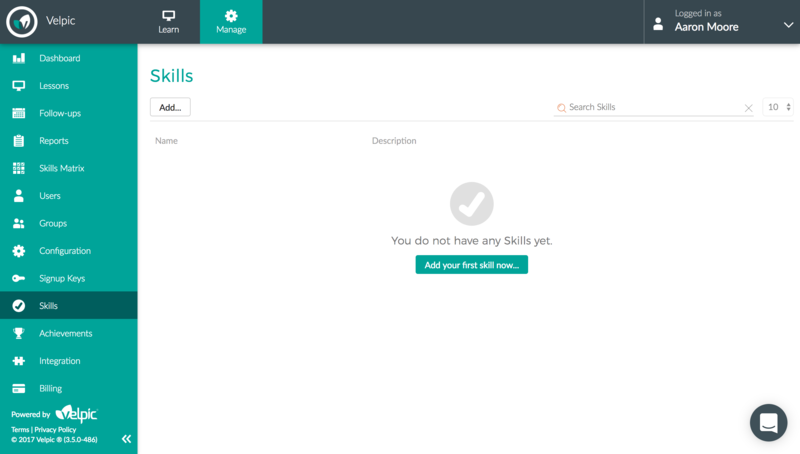 Skills can be managed in the Skills page accessible from the menu, from here you can add, edit, reorder and delete skills. Once you have added the Skill, you will be redirected to the Skill details page. To update an existing Skill, select ‘Details’ from the drop-down menu to open the Details page. On this page, you can edit the name, description and the supporting evidence type for the selected Skill. To delete an existing Skill, select ‘Delete’ from the menu and confirm that you wish to delete the skill. You can change the order in which Skills are displayed (this change is reflected in the Skills Matrix). There are two ways to Reorder a skill. Select either ‘Move up’ or ‘Move down’ from the menu for the skill. Grab the move icon (≡) and drag the Skill to the desired position. This will automatically be reflected in the Skills Matrix and its exports.